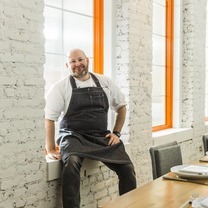 Dan Kluger is the chef/owner of Loring Place. Born in New York City, he has worked all over. He gained prominence at ABC Kitchen as the executive chef. 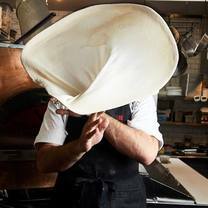 While he was there, he won multiple awards including the 2011 James Beard Award for Best New Restaurant, as well as being honored as Food and Wine Best New Chef of 2012. In 2013, he added another ABC restaurant to his resume, ABC Cocina, leading both Kitchen and Cocina as the Executive Chef. In 2014, he was nominated for a James Beard Award for Best Chef New York City. Chef Dan Kluger of ABC Kitchen/ABC Cocina in New York City tells his origin story. Spoiler alert: the Union Square Greenmarket is a big deal, and a chance meeting with Chef Jean-Georges Vongerichten at a produce stand changed his career. Roots takes a deep biographical look into the world's most influential chefs to reveal their inspirations. Ancestry.com style except not really. Tuna, uni, caviar, truffles and milkbread! "shukonyc Tuna, uni, caviar, truffles and milkbread!" "Loved it!! Great twist on the classic platter! I want another right now." "Fried clams at Baxters in Cape Cod." "Potato croquetas served in a glass sneaker. Cleaning laces must be rough." "Duck Ragu with cavatelli from @#duckpasta"
"When the bar team is asked by the wine director to create a cocktail that encompasses a few of my favorite things-gin, tonic, coconut water??? 🤯🤗🙌 #loringplace"
"No edit needed. 📷 @krisgreen131 LP Negroni featuring Monkey 47, Lustau Vermut, and Campari. So many favorites in this photo. Taken by a guest that has just been the best for these past years at LP and Cocina. A gin that is so exceptional, a sherry house I 💜, and that gorgeous bitter element. #turns"
"Cocktail for two you say? Come by LP, have the 💕BITTERSWEET💕 Brenne French Whisky(new fav) Delaware Phoenix Absinthe Orleans bitter Peychauds bitters #drinks"
"Happy ❄️ ⛄️ Day! We were making maple & bourbon cocktails today. ‘Tis cocktail features black dirt maple bourbon (which takes its name from the dark, fertile soil left by an ancient glacial lake that once covered thousands of acres of upstate New York. This bourbon is aged for 3 years-1 year being with maple syrup from Madava Farms in upstate NY), maple syrup from Deep Mountain Maple at the Union Square Greenmarket, lemon, and what’s the froth you ask-aquafaba! Aquafaba is an egg white alternative utilized often in pastry and in cocktails. We use the leftover chickpea liquid that is soaked for our wonderful chickpeas in our hummus, use it here for our take on a maple whiskey sour. #noitscold"
"New Cocktail🍹🍸List at Loring Place featuring items like this one ‘Brandy & Pear’ Singani 63, St. George Pear Brandy, fresh bartlett pear juice, vanilla, lemon, and a bit of nutmeg. #zhoosh 📸 @fatnatdrinkswine_eatspizza 🤪"